I put together a list of my favorite low FODMAP foods after someone asked me via my Instagram Stories this past week, “Are you willing to share a list of low-FODMAP foods?” …..and also because I’ve been meaning to do it for awhile now to help Y’all out. If you don’t have a medical reason to be low FODMAP, then please, for the love of God, do not do the low FODMAP diet. It’s super restrictive and not even in the “do not eat junk food/sugar/carbs/etc.” restrictive kind of way. Being low FODMAP means you’ll miss out on some pretty awesome foods like: beets, cauliflower, garlic, apples, blackberries, and cashews. Seriously, if you don’t need to be low FODMAP, then don’t be. Right now, I am currently eating FODMAP foods, and I’m totally excited by that. However, when my SIBO is active, I avoid them like the plague. Even then, though, I still eat, and I still a lot. How? 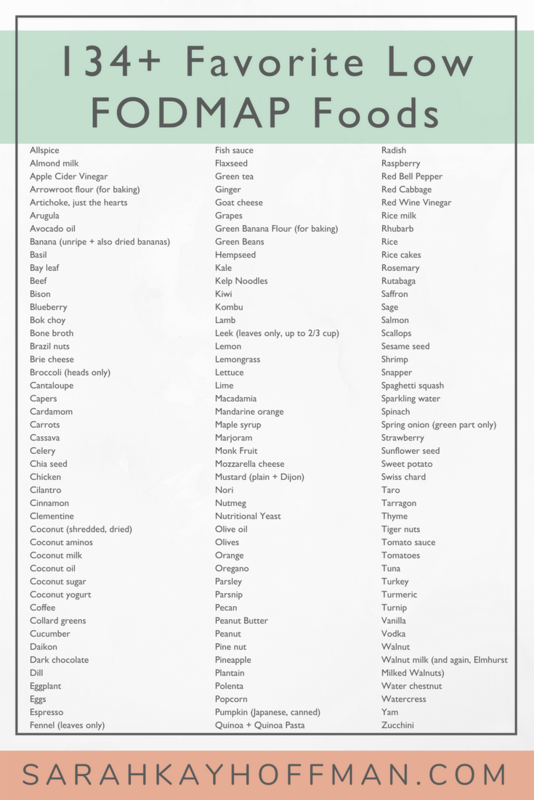 With these 134+ favorite low FODMAP foods. 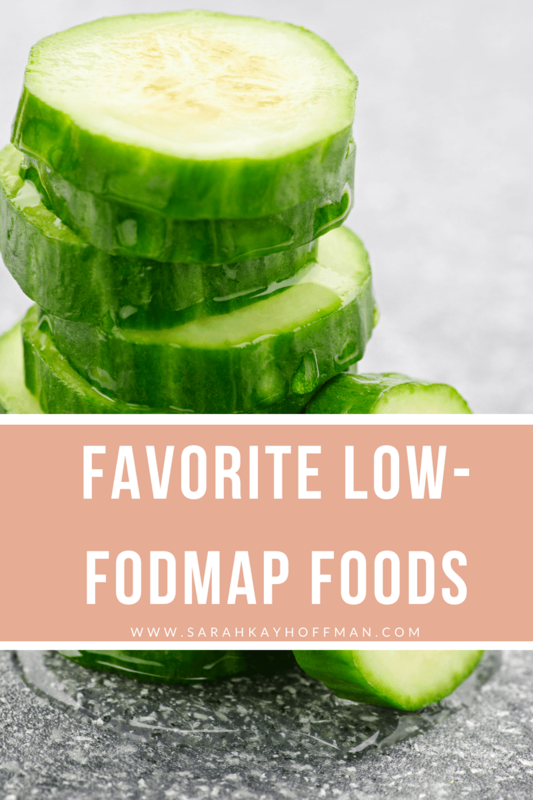 Click HERE to save these favorite low FODMAP foods for later. Click HERE to save this graphic to your Pinterest. And there you have it. 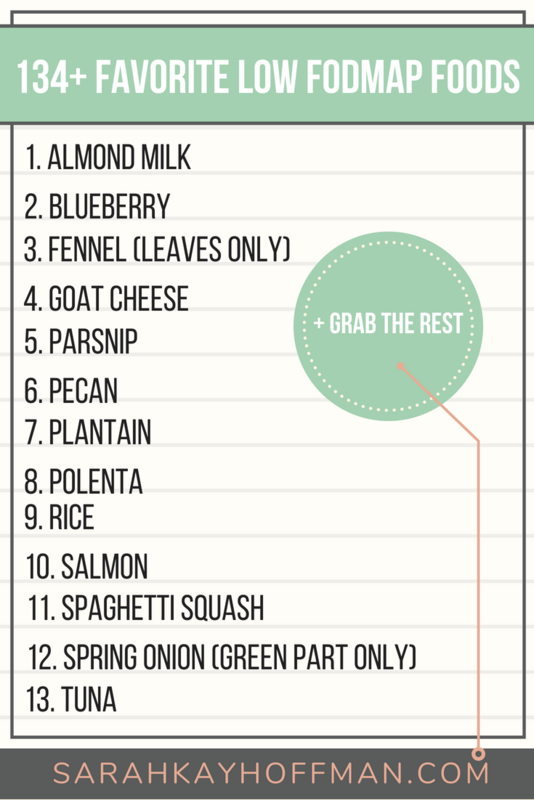 What are your favorite low-FODMAP items you’d add to this list? Feel free to share them in the comments below.